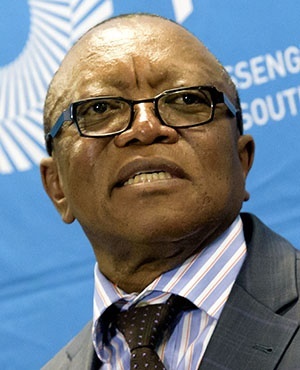 Transnet Chairperson Popo Molefe confirmed on Tuesday receiving responses by three senior executives who were given until Monday to explain why they should not be suspended. Molefe said the board had received letters requesting an extension to Friday, which had been granted. On Thursday last week the state freight and ports company announced that its CEO Siyabonga Gama, Chief Advanced Manufacturing Officer Thamsanqa Jiyane, and Supply Chain Manager Lindiwe Mdletshe had been served with suspension notices. The suspension notices came in the wake of investigations by Werksmans Attorneys, Mncedisi Ndlovu & Sedumedi Attorneys, and Fundudzi Forensic Investigators into the awarding of a contract that in time expanded from R38.6bn to R54.5bn to China South Rail for 1064 locomotives, with kickbacks allegedly flowing to Gupta associates. Werksmans is reported to have recommended that Transnet institute disciplinary action against individuals identified in the findings. Fin24 has not seen the investigative reports. “In view of the seriousness of the alleged transgressions, the Transnet board is concerned that the continued presence of the three employees, given their seniority and influence might interfere with and jeopardise the investigation,” Transnet said in a statement last week. Molefe said in an emailed response to Fn24 on Tuesday that the board “will apply their minds” to the executives’ submissions. “Any issues disputed by Mr. Gama and others should be ventilated in the relevant forum. I will not pre-empt the process. Accordingly, I will not conduct the inquiry in the media,” he wrote. In a letter sent by Gama to Molefe on August 17, and seen by Bloomberg, the Transnet CEO said he believed there was a plan to suspend him regardless of his submission and maintained that he had acted in good faith as a director. Molefe previously denied that the suspensions of Gama and the two other executives had been pre-determined. The Economic Freedom Fighters came out in support of Gama on Tuesday congratulating him for Transnet’s 2017/2018 financial results with revenue increasing by 11.3% to R72bn. Gordhan, who was named Minister of Public Enterprises in February, instituted a board shakeup at Transnet and Denel in May, appointing Molefe as chairperson of the state freight company and Monhla Hlahla as the chairperson of the state arms manufacturer. He has vowed the improve the governance and administration of state companies. “The reign of terror by Minister Pravin will cripple state-owned companies because the purge is not based on complete investigations but a political withchunt,” the EFF statement read. The EFF said it had written to President Cyril Ramaphosa and boards of state entities urging them not “blindly follow” the minister's instructions to “purge” African leaders and replace them with his “lackeys”. The party came in for criticism in June for questioning why Treasury's deputy director general Ismail Momoniat was present at Parliamentary committee briefings instead senior "African" officials. Treasury, in turn, accused the EFF of displaying a "gross misunderstanding of parliamentary processes". *Update: This article was updated at 09:30 on Wednesday to include an update from Molefe who said the board had received letters requesting an extension to Friday from the three executives, which had been granted.